DID YOU KNOW? Plano, TX soil is generally referred to as Houston Black – Austin Association/ They are gently sloping to sloping, clayey soils that are deep over marl and chalk. While sticking doors aren’t always attributed to foundation damage, they are a definite symptom to be concerned with. 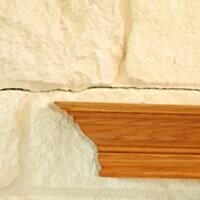 Noticing unusual cracks in your drywall or sheetrock? These cracks are very likely due to foundation issues. 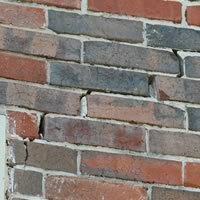 Noticing some cracks in the brick on the outside of your home, or in your mortar? Call 1st Choice. 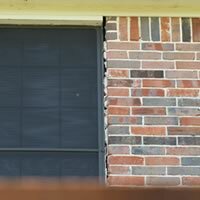 If you have noticed your window frames are starting to pull away from your brick or trim or your caulking is tearing, call us! 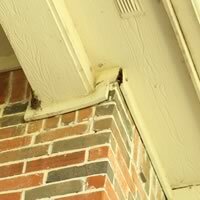 If you are seeing separation in your wood trim or fascia, ESPECIALLY IN THE CORNERS, call 1st Choice. Be wary of the company that uses their own engineer to diagnose your house. Be wary of the company that uses their own engineer to diagnose your house, and don’t be surprised if the engineer recommends that same company to do the repair or even a special type pier that only that company can do. I’m serious….they are out there. We are more than glad to refer you to several engineers, but rest assured, you ultimately have the choice as to who you use. Plano Foundation companies that “commingle” with structural engineers may have an extreme conflict of interest. Beware of poured concrete footers. This is a term foundation professionals are aware of. Ask us about them when you call, we’ll be glad to give you our opinion. We hate to see homeowners pay for the same repair twice. Beware of many extra fees, such as marked up engineer reports (See bullet #1), or marked up plumbing tests. We have no cost for our post-plumbing leaks tests, so neither do you. It’s only fair. Does the other company coming out have a bunch of extra fees? Be wary of a price per pier in excess of $400. Although some areas require deeper depths to achieve “Absolute Refusal”, this is not common. Also, when getting multiple bids, compare the number of piers and pier placement of the different companies. Be wary of any company that suggests extra piers without a very good reason. If the estimator is not equipped with the proper tools, i.e. a CompuLevel or ZipLevel, then send them packing. Sorry folks, but a marble, tennis ball, bubble level, or “experience” won’t do the trick. You need the proper tools to give a proper estimate.